Children and adults with intellectual or developmental disabilities often experience stressful events and interactions and then use maladaptive strategies to manage these situations. In addition, the presence of behavior challenges in children is linked to elevated stress in parents. Stress is an epidemic in our western world. It’s implicated in 7-10 of the leading causes of death (heart disease, cancer, stroke, suicide, homicide) and indirectly linked to cancer, liver disease and emphysema. 75-90% of visits to primary health care doctors are for stress related concerns. Stress negatively impacts our physical, emotional and psychological wellbeing. Having recently attended Dr. James Porter’s presentation, “Stop Stress This Minute,” at the Yampa Valley Medical Center, we learned about the causes and effects of stress as well as effective management strategies to reduce its powerful impact. What causes stress? Is it your job, finances, relationships, responsibilities? No, Dr. Porter says; it’s you! Stress is the result of you, or more specifically, your thinking. Stress is a word that stands for problems. But stress is your problem to solve. Taking responsibility for solving your problems doesn’t mean that you are to blame. It means that you are the one to solve the problem. Stress is related to feelings of control (a concept so important for people within the I/DD world). People who feel in control of their lives are invigorated and challenged by busy schedules. They believe there’s a solution to every problem. People who don’t feel in control of their lives are overwhelmed. They tend to see problems as unsolvable. In order to feel in control, we need to believe we’re in control. Control begins in our minds. Stress is the body’s response to demands placed on it. It’s different for everyone; what stresses you out is different than what stresses your coworker or roommate out. Your signs and symptoms are specific to you. Stress is not what happens to you, but how you respond to it. While today’s stressors have evolved from those of the caveman 25,000 years ago, the physiological reaction is the same. We inherited the Fight or Flight response from our ancestors. When we feel threatened and can’t escape (a predator attacking its prey), our bodies activate a supercharged, high octane response. The hypothalamus sends a message to the adrenal glands. The heart pumps 2-3 times faster, sending nutrient rich blood to major muscles. Capillaries close down and blood pressure rises. Eyes dilate and bodily functions associated with long term survival shut down (digestion and sexual function stop, the immune system shuts down, and excess waste is eliminated). Fight or Flight is short term for survival. Physical signs of stress can include a pounding heart, upset stomach, dry mouth, rapid pulse, skin rash, perspiration, sleeplessness, diarrhea, recurrent colds, headache, fatigue, weight loss or gain, frequent urination, unexplained or frequent “allergy” attacks, gritting or grinding teeth, neck ache, back pain and muscle spasms. Emotional signs can include anger, frustration, worry, fear, panic, anxiety, feelings of loneliness or worthlessness, and overreaction to petty annoyances. Psychological signs can include crying spells or suicidal thoughts, depression, frequent or wild mood swings, obsessive or compulsive behavior, lies or excuses to cover up poor work, and difficulty in making decisions. Today, most people manage stress by smoking, eating, drinking, spending money or using drugs. Stress is a ubiquitous and dominating lifestyle factor. So why don’t we manage it? Dr. Porter suggests that our culture promotes stress like a badge of honor—it’s synonymous with the American work ethic. We’ve cultivated a mindset against managing stress. Doctors receive little or no training about its impact on health. As a result, we don’t know how stressed out we are. 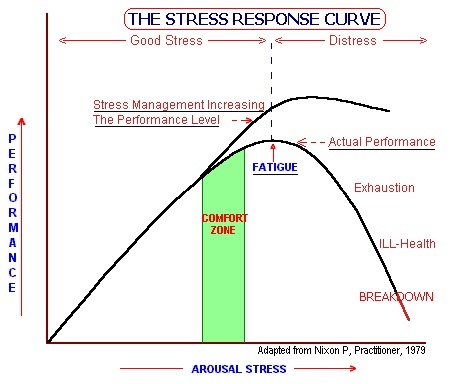 Stress is cumulative and our levels vary throughout the day. If something small bothers you, your stress levels have accumulated and you need to hit the reset button. It takes 1-2 hours for stress chemicals (adrenaline and cortisol) to come down to baseline. Dr. Porter encourages us to know our stress number: 0 = no stress and 10 = a panic attack. If we’re at 5 or above, we need to use a strategy to bring it down. One strategy is Cognitive Restructuring. It’s based on the equation: A (activating event) + B (belief) = C (consequence). Cognitive Restructuring means changing your thinking and it requires a commitment to transformation. It challenges us to get rid of negative self-talk. For example, when we get a flat tire on the way to work (A), we tend to get stressed (C). Most people believe that A = C, when it’s actually our beliefs about the flat tire (B) that determine the consequence. Cognitive Restructuring implies that if we change our thinking (B), we can change the outcome of a stressful event. Instead of responding to A by thinking, “Why does this kind of stuff always happen to me? !”, choose to accept what can’t be changed and stop passing judgment. We can’t change events, but we can change the way we view them. The only thing standing between us and our new behavior is a single thought (B). Another strategy is to Self-Regulate. This includes deep breathing, progressive muscle relaxation, mindfulness and meditation. Deep breathing opens the capillaries that close during fight or flight. Progressive muscle relaxation relaxes the muscles and lowers blood pressure, heart rate, and respiration. It’s simply the tensing and then relaxing of each muscle group of the body, one group at a time. Mindfulness is all about being in the present moment. In today’s society, we tend to do things mindlessly, or we let our minds wander into the future and feel anxiety or reflect into the past and feel anger. In meditation, we notice the in breath, the out breath and the gap in between. Meditation trains the mind to identify thoughts without judging them or becoming them. Meditation allows us to notice what goes on in the present (where life happens) and breathing is how we bring ourselves into the present. We’re all somewhat addicted to stress. It’s a buzz; it makes us efficient! It can be the spice of life, but it can also be the kiss of death. So when you decide what it is you want to change—which events or situations cause toxic stress—start small. Make one change at a time and practice it for weeks, if not months, before adding in additional layers of change. First, become aware of the need to change, learn why you should change and consider how you want to change. Once you take action, focus on maintaining your healthy behaviors. 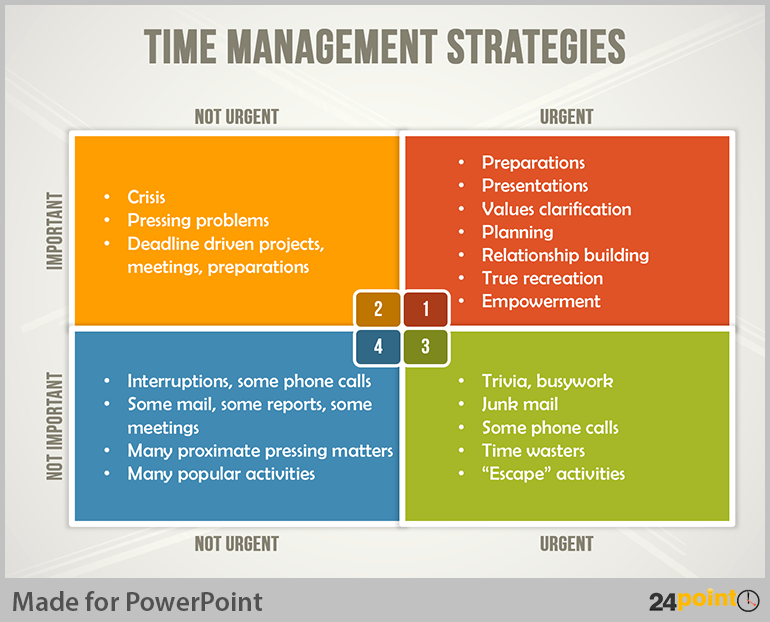 A Time Management Matrix can help you decide which behaviors you want to change. And for those of us who know, work or live with people with I/DD or children with behavioral challenges, Dr. Porter’s work reminds us to be curious about how stress presents itself and knowledgeable about strategies to manage it. While stress is a natural human state calling us to pay attention, it can also be identified and nurtured to work for us rather than against us. There’s a relationship between increasing levels of stress and optimal performance–but only to a certain point. Dr. James Porter has presented seminars on stress management at West Point and for The FBI, The Navy, The Department of Homeland Security, The American Heart Association, The International Stress Management Association and at Time Life Headquarters in NYC. His work has been reported on in a wide variety of national media including Good Morning America, PM Magazine, Ladies Home Journal, The Daily News, The Dallas Morning News and in such medical Journals as The Journal of Bio-communication and the Journal of Cardiopulmonary Rehabilitation and The Journal of Family Practice. He is currently a fellow of The American Institute of Stress.